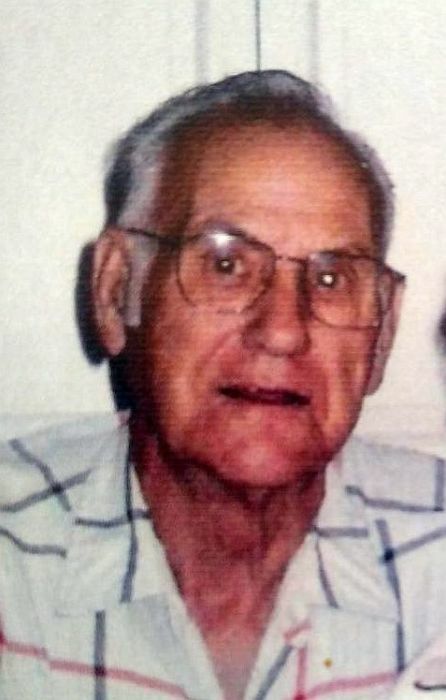 Funeral Services for James Frederick Scroggins, 87, of Gun Barrel City, are scheduled for 11:00 am, Saturday, April 13, 2019, at Beacon Church of Christ in Gun Barrel City. Burial will follow at Elm Grove Cemetery in Mabank, TX. Services are under direction of Hiett’s LyBrand Funeral Home in Wills Point. James passed away on Tuesday, April 9, 2019, in Mabank. James was born December 13, 1931, in Kemp, TX, the son of Duge and Cora Akers Scroggins. He attended school in various places in the Mabank area and received his GED. James served his country in the United States Army and received the National Defense Service Medal in 1955. He married the love of his life Iva “Nell” Ballow Scroggins on March 2, 1950. James was a working member of Beacon Church of Christ Gun Barrel City. He retired from Wilson’s Packing Company and received the “Top Dog” national award for his “fantastic” salesmanship abilities. He and his wife Nell then opened a restaurant in Kaufman. James afterward pursued a career with a building firm in Maryland and became a supervisor. Like Jesus, he was an exceptional carpenter and lover of people. He especially liked to help those less fortunate and built several handicap ramps for families in need. He is preceded in death by his beloved wife, Iva “Nell”, his loving daughter Debra “Ann” Hall and parents, Duge and Cora; brothers, Tommy, Noble, Ernest and Chester; sisters, Cleo, Ethel Joyce, Reiva, Clara Lee and infant Vera. James is survived by his sister, Willie Mae Simmons and husband, Bill of Athens, TX; son in law, Bill Hall, Jr. of Bunker Hill, WV; grandchildren, Amanda Helmers and husband, Jörg of Wilhelmshaven, Germany, Billy Hall, III and wife, Crystal of Bunker Hill, WV and David Hall of Walkersville, MD; four great grandchildren, Austin Wooden, William Propst, Eleanor Hall and Hannah Helmers; nieces and nephews, life-long friends and his CHURCH FAMILY. In lieu of flowers, donations can be made to Beacon Church of Christ in Gun Barrel City in honor of James Scroggins.